Libya’s rebel governing body does not plan to buy weapons from Russia because the country will not need them in the future. The estimated amount of all signed and planned military contracts of Gaddafi’s government with Russia was $4 billion. The business deals signed under the ousted Libyan leader will be reviewed, according to Mustafa Abdul Jalil, chair of the National Transitional Council (NTC), which heads the rebel forces. “We respect all deals with other nations, but they will all be reviewed, since many of the deals were signed thanks to corruption,” the former Justice Minister under Gaddafi said on Thursday in an interview with RIA Novosti news agency. He said price terms of many of the contracts are too high, and such contracts will be subject to alteration. Among Gaddafi’s deals, which apparently will not be accepted by the new Libyan administration, are multibillion-dollar arms deals with Russia. “Libya in the future will not need arms,” Abdul Jalil said. He did not elaborate on whether the NTC plans to have little or no military force and rely on foreign nations to protect its borders, buy weapons from other different sellers, or has enough weapons from Gaddafi’s depots to meet its needs. The latter were a major source of arms and military equipment for the rebels in the first weeks of the uprising. 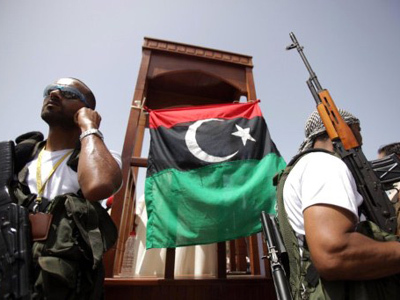 Moscow and Tripoli signed have several military contracts since 2008, when the two countries agreed to lower Libyan debt to Russia and boost arms trade. Libya wanted to buy air defense systems, tanks, multiple-rocket launchers, fighter jets and a diesel submarine. 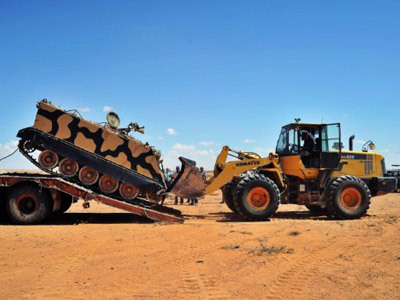 There were also contracts for modernizing old Soviet hardware owned by Libya. In August, head of the Russian arms export monopoly Anatoly Isaykin said the total revenue loss Russia would suffer if its military trade with Libya was halted would be about $4 billion. At the time the export of arms to the country was already banned by the UN. 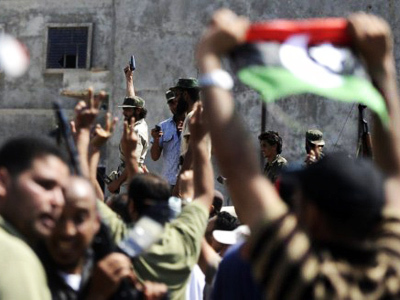 Mass demonstration and a consequent civil war erupted in Libya in mid-February, with opposition forces taking control of part of the country. A NATO-led coalition supported the rebels with a bombing campaign against Gaddafi loyalist and supplying rebels with arms. In late August, rebels managed to capture capitol Tripoli in a surprise night raid. Muammar Gaddafi and many of his close associates are currently in hiding. In his latest audio statement he said he is still in Libya and pledged to continue fighting. Some 60 countries, including Russia, have recognized the NTC as Libya’s government. Mustafa Abdul Jalil assured the journalists that Russia has a place in Libya’s future. “Russia supported us from the very beginning, when it didn’t veto the UN Security Council Resolutions 1970 and 1973 [which authorized use of force in Libya to prevent civilian deaths – RT]. We appreciate this help,” he said. Earlier Mikhail Margelov, the Russian President's Envoy for Africa said Russia expected the NTC to respect all Gaddafi-era contracts with Russia. “I do not think the new Libyan government will begin with the evaluation of contracts with Russia by political criteria,” he said.